Stumbled upon an article about architect offices...then my jaw dropped. 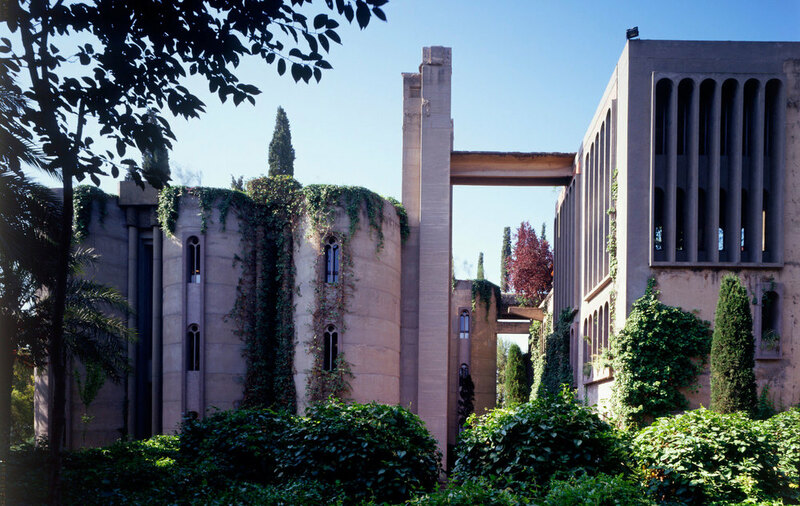 World renowned architect, Richardo Bofill purchased the cement factory in 1973 and subsequently transformed the facility over the next 2 years into the offices of Ricardo Bofill Taller de Arquitectura. Now more castle than factory, La Fábrica (The Factory) is simply stunning inside and out. The building houses several functions including architectural offices, archives, a model laboratory, exhibition space, his personal apartment, guest rooms, and extensive gardens. Working in such a beautiful environment must make leaving work a challenge. Check out the architect's website by clicking here which chronicles the remarkable transformation of La Fábrica then and now.